"I finished reading this. I admit I randomly had my computer on a chapter for like... 5 hours before I actually started reading and I never actually finished reading a chapter after I started it without quitting the page due to some interruption. Great book! 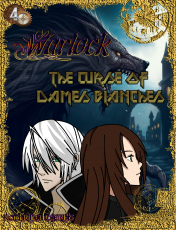 Now time to read Warlock 5 prologue and patiently wait alongside your earlier readers for chapters. *sigh* Waiting.... but hey. I can wait. I mean my favorite book series released a new book like every 2 years so... *cries* It was hard but I did it. And I can do this." Okay, so, first thing I'll say is perfect timing! Lol did you specifically save this for Christmas? This was really good, I have read your other 3, I just didn't get to comment much, but I will make sure to stay up to date with this one! I cannot wait for the next chapter I wanna see what Luka has for them this time. Okay I have two things to say before I jump into my review. I feel so stupid for not recognizing the guy as Lucious. My second statement here is, I could just read a whole chapter of you describing the surroundings and the people. You are sp talented at it, it amazes me. I have to agree this chapter came out perfectly in time for Christmas. It's almost like you planned it this way. It was a bit sad hearing all the names lost in this book. Some will aways be missed by me. It was cool getting to meet Luka's family. The two kids were cute. It's still kind of sad that her and Elijah can't have kids. I'm sure they can find a way. Even if they have to adopt some stray child along the way. But that's quite a ways off I'm sure, they still have elementals to kill. Yeah I kinda did wait until Christmas to release it haha and yeah it was sad for me to have to write them all, but they'll never be forgotten. Talk about late but still, I like this chapter very much! I am jealous that you were able to put out a Christmas chapter at exactly Christmas lol. Anyways to the story. What can I say? The way you describe the city is amazing again, it's like you really want us to be immersed in the story which I already am XD. While I'm not finished with 2 (I know I'm a lazy dumbass), I was spoiled due to the review chain. And for that, it does still sadden me about their death, Regis in particular, oh man I loved that character. Now to the happy part, I see Luka's sons have learned 'the art of the pocket' lol and that part with Kathrina not wanting to open the gift in front of them because she might leave a bad reaction was funny. Dammit, I didn't get to see I Alpha and Logan's drunk stories, although it did made me laugh a lot since I imagined something in my head. The chapter then got a little sad when the talk about kids suddenly appeared, it changed the mood a lot but it's a good thing that you didn't make it last that long by placing it at the very last part of the chapter. It really is written like a first chapter despite Warlock being so long. I think I should mention if someone is at the fourth book they've probably read the rest of the story or at least some of it. You don't really need to go as deep as you did when introducing some of the characters but I appreciate the effort but I believe the reason I'm mentioning it isn't that it think it's because majority of the story is introducing the character and I kinda want more. It also contains a lot of tell not show. I know it's a lot of work but, I would perfer inside saying the kids are prankster you just showed us a prank and maybe explaining it afterwards. that's really all I need to say about it. It's a great introductory chapter but it may fit better into a prolouge and the first chapter being the adventure actually beginning. As I'm jumping more or less straight in with 'Warlock 4', I really enjoyed the character introduction. Written so well with a lot of atmosphere. Yeah more of Luka! He's awesome, he's one of my favourite characters! Yay snow! Well and Christmas. Same traditions and stuff or is it different there? Hmm..... this Leo person.... he needs wings. I'm assuming he's one of Luka's friends...... or some new guy who's gonna join the group before dying. ..... so many corpses.... kinda. Okay only like three people I care about..... rip vampire thing, mage loli and that one sword guy. I noticed Alpha didn't say anything about Nightly..... Kathrina x Alpha for life! So she can't have kids with Elijah..... make Kathrina a demon? Tiny Elijahs though...... that would be extremely annoying...... BURN THEM ALL! NOW BEGIN THE BLOODSHED! SEND THEM OFF TO DEATH! I'm so happy. Kathrina is an aunt *technically speaking*! I love how everyone was toasting all those who lost their lives... although I wish there was like a funeral or whatever. Poor Kathrina... can't have kids. Well, I really appreciate you like describing each of them again hahaha. It was a really nice way of refreshing my memory. Also, of course the descriptions, they're always...mwah... subarashii...hahah. I'm not gonna compliment the descriptions every chapter okay? hahahah, that'd be to repetitive but, just so you know. 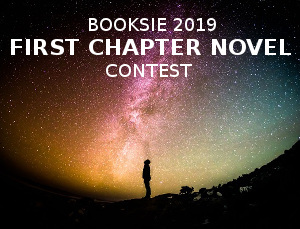 I'm sure every chapter has amazing ones. Also...uhmm...did I just forget or..who is Leo? And why is he calling Luka his brother? Huh? ElijahXLuka, go away hahahahah. I also like Elijah and Kathrina's scene by the end. Nice scene there. Now, when are they gonna get married? Eh?